Currently there is no money in the Chicago Department of Transportation’s (CDOT) annual capital budget set aside specifically for biking and walking projects. But change could be around the corner with most of Chicago’s mayoral candidates supporting a new, dedicated Bike Walk Fund in the city’s budget. 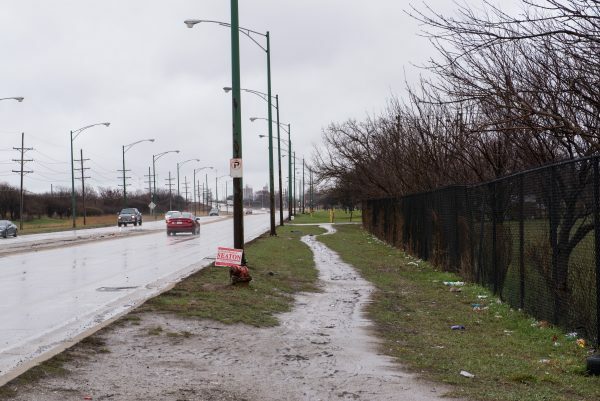 The $20 million fund would give priority to the city’s highest-crash corridors on the South and West Sides. Take action now to a support a Chicago Bike Walk Fund. Today, funding for street safety projects like better-lit crosswalks and curb-protected bike lanes comes from a patchwork of local, state and federal sources, including aldermanic menu money. These inconsistent and inadequate funding sources mean that many essential projects get left by the wayside. According to responses to the Active Transportation NOW mayoral candidate questionnaire, six of the eight responding candidates (Daley, Enyia, Kozlar, Ford, Lightfoot and Vallas) support an annual $20 million Bike Walk Fund for the city of Chicago. The Bike Walk Fund would allow the city to target the high-crash areas identified in the 2017 Vision Zero Action Plan. Unfortunately, little action has been taken on Vision Zero plan thus far due to a lack of dedicated funding. With a dedicated funding source, Chicago could build a more equitable city by implementing safer crossings by schools on the West and South Sides as well as more protected bike lanes to expand the city’s bike network. Take action now to a support a Chicago Bike Walk Fund, which will give prioritizy to the city’s highest crash corridors on the West and South Sides!